Cream of Wheat Cookie Jar made in Japan. Manufacture date is unknown. From a private collection the jars are in excellent condition. 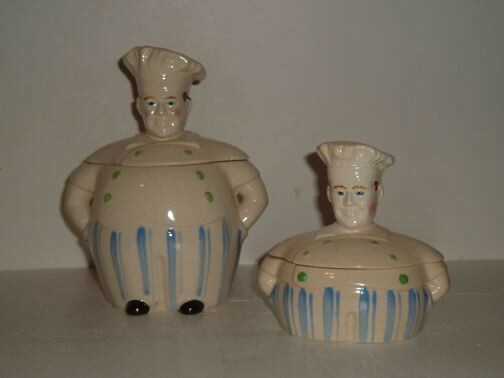 The Image posted shows the Cookie Jar and the Grease Jar. This is for the Cookie Jar only. See the separate listing for the Grease Jar.